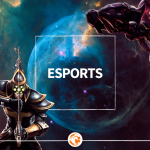 Thinking about dressing like your favourite video game character for your next gaming festival or costume party? 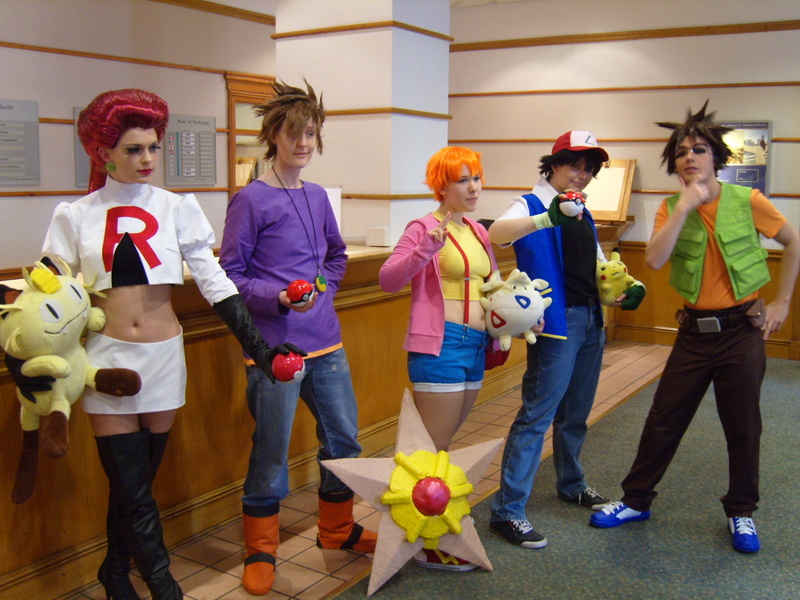 Here are some great ideas for costumes that you can easily make yourself! You will need: a pair of jeans, a white long sleeve shirt, a baggy black tank top, red or black high-top shoes, a blue vest (which can be made by cutting of the sleeves from a blue hoodie), Ash’s hat (which can also be made from a regular red hat and some white and green duct tape), Ash’s green gloves (which you can also make yourself from regular green gloves, yellow fabric and some fabric glue). You will need: a pink wig, stuffed animals, a purple dress, pink leg warmers, pink petticoat, pink furry backpack, black shoes and a white collared shirt. For the headband: a headband, pink felt, cotton balls and hot glue. Use the glue to cover your headband with the felt. Cut out the shape for the horns from the felt and stuff them with cotton balls to give them volume. Then simply glue them on the headband. You will need: a white buttoned shirt, a white hooded sweatshirt, a red or white bandana, several belts, a sash or any piece of cloth that can imitate it. Leave the top few buttons of the shirt undone. Cut the sleeves off the hoodie. Tuck the tip of the bandana into your shirt. Wear the hoodie over the shirt, but leave it partially unzipped. The sash should go around your waist and the belts over the sash and on your shoulders. 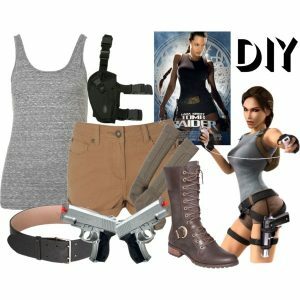 You will need: shorts, a tight tank top or T-shirt (both preferably black), sunglasses, fake guns, a black belt, black boots, gun holsters to put around your legs (the easiest way to get those is to purchase them on Amazon, but you can also make them yourself if you’re feeling crafty). Make a French braid and your good to go! You will need: a cardboard box, a blue T-shirt, some glue, some scissors and Steve’s pixelated face printed out on the regular computer paper (look for free Steve’s face pdf on the internet). Print out pixels to cover all sides of the cardboard box, make sure to cut out the squared holes for eyes, and glue the paper on the cardboard. Put the box on your head and you’ve got yourself a great last-minute costume! If you have more time you can add boxes for arms and legs too and even make a Minecraft diamond sword from cardboard paper. If you are planning to make costumes together with friends, you could all be Ghosts from Pacman. You will need: different coloured sheets and the same coloured jeans (preferably black). Also, you will need to sew some giant eyes and cut eyeholes. This works even better if one of you is Packman, for which you can find plenty of tutorials online.